These are the few important Secrets of Successful People that They Won’t Tell You. Successful people always read a lot of books in their life. You always find a lot of books in the office of successful Businessman. According to recent survey “Bill Gates” read Fifty (50) books in a year, which means four books in one month. Many of you think that you are reading a lot of books since your childhood, “What’s the big Deal?” But there is a big difference between Junk reading and Meaningful reading. If you think reading Books like “Twilight” will makes you successful person, which is not possible. But reading Books like Think & Grow Rich, Zero to One: Notes on Startup, Lean Start up, The 4 Hour Workweek produce great positive impact on you which leads you towards success. Successful people always try to avoid competition. If you see successful people like Bill Gates, Steve Jobs, Mark Zuckerberg or Peter Thiel, they all resist to competition. Competition kills the thinking of creativity, a large amount of time and effort is waste to compete with competitor. That’s why the profit rate of US airlines are so low, because they are competing with each other and forget any creative thinking to serve their customer. So, successful people avoid competition and this is the top Secrets of Successful People that They Won’t Tell You. Entrepreneurship is not an easy task, that’s why there is very low number of successful people all around the world. 80% of the world’s economy is controlled by only 5% of the people in the world. You thinks these 5% of the people must be genius and never done any mistake in their life. This is not the real truth. Almost very successful person do fail in their entrepreneur journey. But they learn from their mistake and make it habit to not repeat these mistakes again. This is also a secrets of Successful People that they won’t Tell You. Successful people never do multi work in their initial days of the entrepreneurship. Instead of this they worked on one thing with unbelievable Focus. When they achieve their goal on that work, they re-focus on another work. By doing thing this, they produce some great results and success in their life. Successful people never start their business with an exit plan in it. 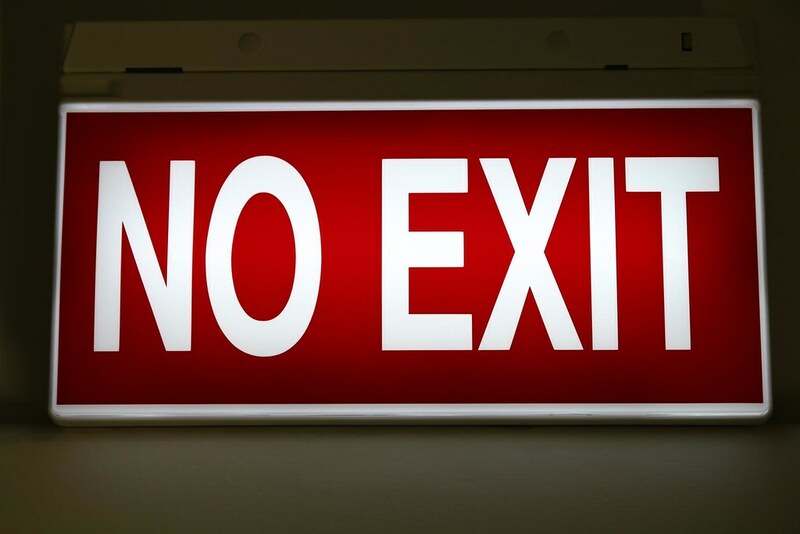 If you are thinking of starting a business with some exit plan in it, then please don’t waste your time by starting that business. You already subconsciously thinks that you do not going to succeed in that business. Instead of this start a business in which you are confident enough to pursue. Successful people never make exit plan in their business initially. Many people never like people criticized them but successful people love it. Successful people always find a way to learn something from the criticism. They think people who criticized them are the great source of improvement. Successful people always receive feedback from the haters and try to use that feedback to better themselves. This is one of the “Secrets of Successful People that they Won’t Tell You”. Successful people make a habit of staying away from any distraction in their goal. This is the main reason why Steve Jobs always try to wear same cloth. Distraction like TV, movies and other useless things are ruining life of many people. Successful people try to use their spare time to improve them-self, instead of using any entertainment source for wasting time. Successful people never reveal their action plan early. They wait for its completion and after that they will tell everyone about it. By doing this they increase the chance of completing their goal without any fear of failure in it. Many unsuccessful people tell their action plan everyone and in return afraid internally about its completion. Successful people always try to create than to consume. This means they always think of creating a better version of already consuming product. They find some issues in the product and try to fix those problems by developing a better version of their own product. For example Steve Jobs created iPod which is better version of walkman MP3 player. But doing this they always reach next level of excellence. These the the few “Secrets of Successful People that They Won’t Tell You“. Hope you have learnt some thing about success from these information. Comment your views on these points in the comment box, do share it!